When it comes to NPAs, the devil is in the detail. BJP’s tweets on the PM’s speech baffles Twitter users. 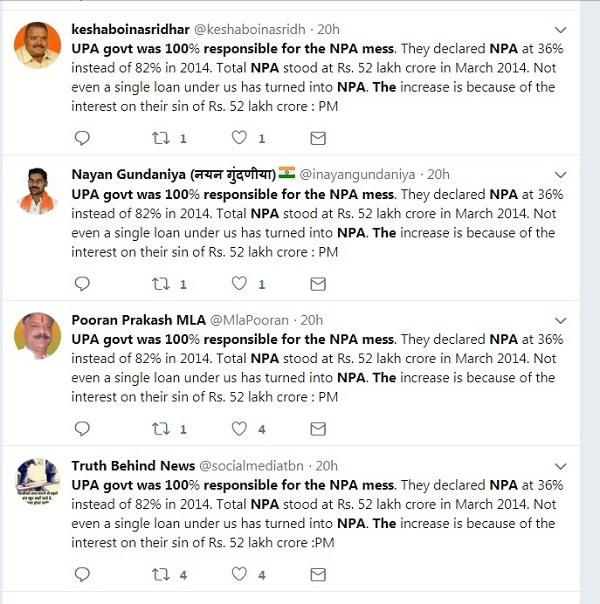 The Bharatiya Janata Party’s (BJP) twitter handle baffled fact-checkers on Wednesday as tweets quoting bank NPA (non performing assets) figures under the Congress-led UPA regime did not match what Prime Minister Narendra Modi said on the issue in the Lok Sabha. 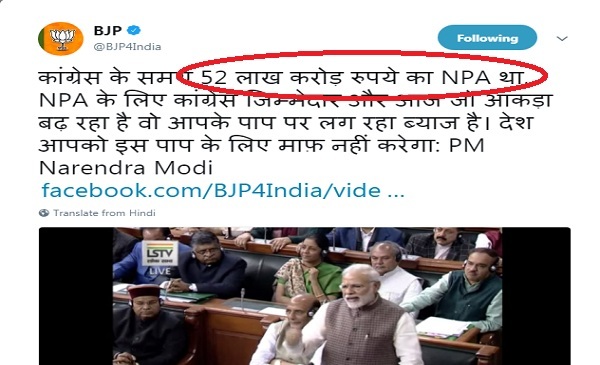 Replying to the debate on the Motion of Thanks to the president’s address, the PM launched a scathing attack calling the NPA mess gripping banks as ‘paap’ or the sins of the Congress party. The prime minister said that due to indiscriminate lending, total lending of banks was Rs. 18 lakh crore in 2008 and it rose to Rs. 52 lakh crore in 2014, under the Congress’ watch. 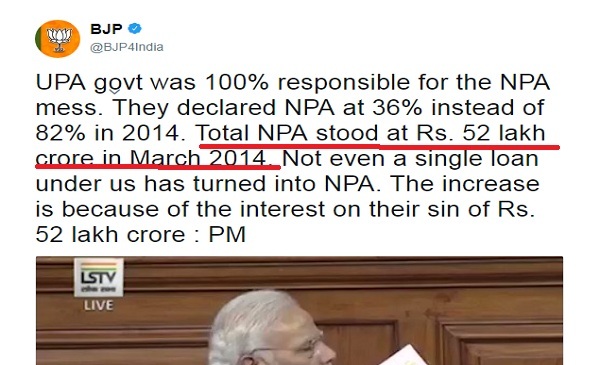 However, BJP’s tweets in Hindi and English said that NPAs (and not gross advances) in 2014 were Rs. 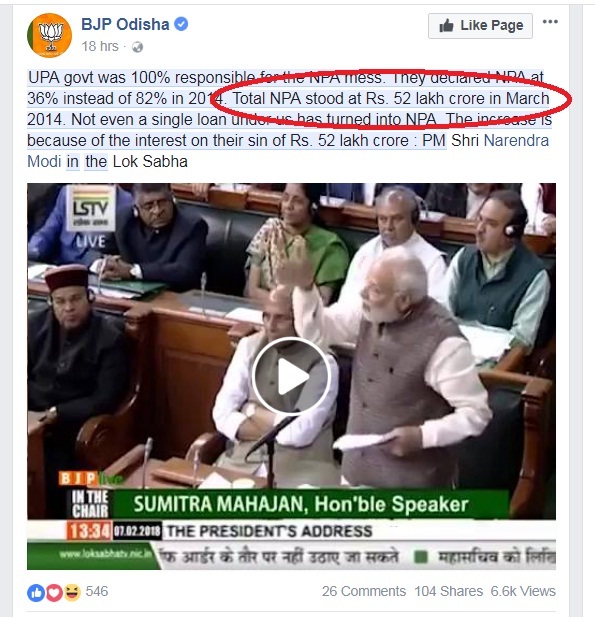 52 lakh crore. 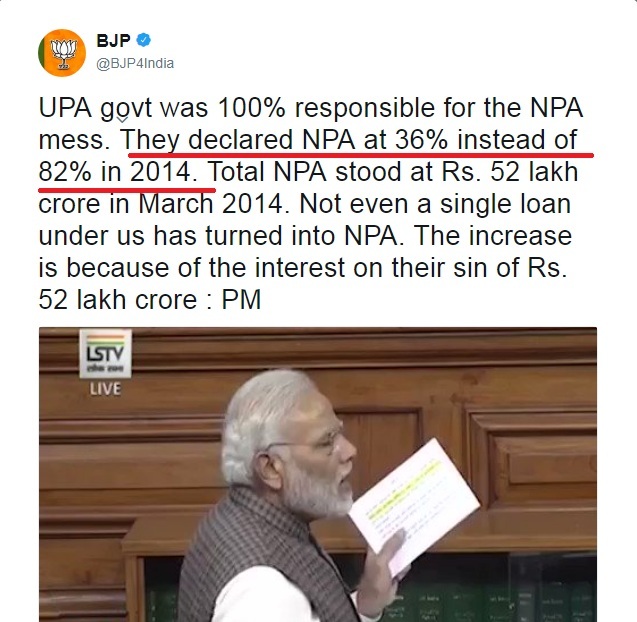 An infographic tweeted by the BJP’s twitter handle show how the previous two tweets do not match. The graphic is part of four info-graphics tweeted by the BJP. The erroneous tweet was promptly lapped up by social media. 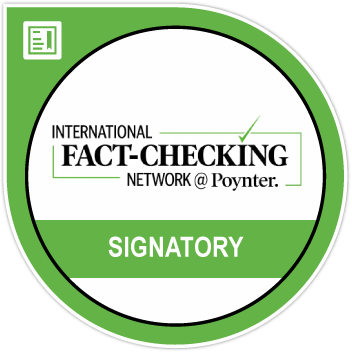 The prime minister also accused the previous administration of providing incorrect and misleading statistics. 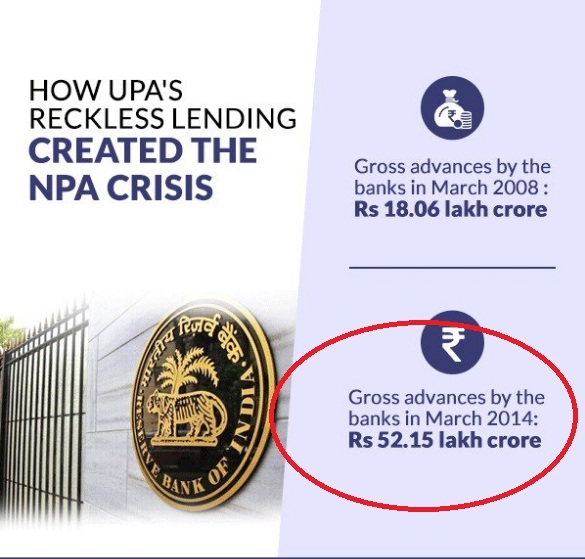 The PM said UPA leaders had pegged stressed assets identified as NPAs in 2014 at 36 percent, but these had turned out to be 82 percent. 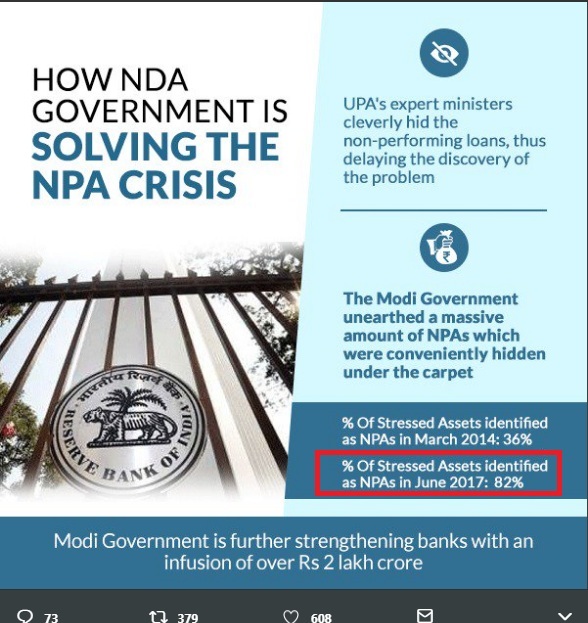 However, the infographic said percentage of stressed assets identified as NPAs in June 2017 was 82 percent.